At the 20 arrondissement City Hall in Paris, UNESCO Clubs French Federation was represented by two persons : Claude Vielix, FFCU Vice-president and Aleksandar Protic FFCU Federal Counselor for the 6th International Poetry Festival in Paris. Claude Vielix talked about FFCU engagement and role in contemporary society, as well as in cultural activities. Aleksandar Protic informed the audience about the Tesla Memory Project and about Tesla’s scientific poetry. 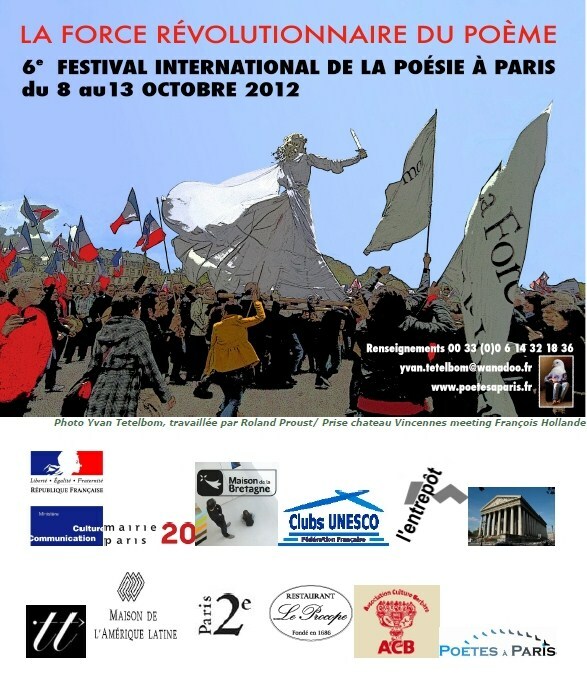 Both FFCU representatives met several poets came from all over the world to celebrate this Festival in Paris. Morii Kae read her poetry dedicated to peace and development in Fukushima. She offred to a FFCU a peace necklace, symbol from japaneese tradition. Aleksandar Protic in the name of UNESCO Club Sorbonne together with Morii Kae and Lana Rebecca March gathered to promote peace through poetry.